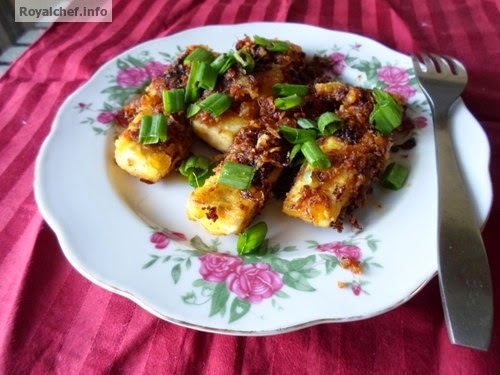 This is a Recipe for preparing at home tasty Thai Style Fried Tofu Paneer Sticks. This is a Starter Thai Recipe, can be used as a party and cocktail snack. This Fried Taohoo tastes great as it is prepared using a variety Thai Spices, which makes is crisp and spicy. This Thai speciality dish is prepared Tofu or Soya Paneer, which is a Paneer or Cottage Cheese prepared from Soya Beans Milk. Tofu is a rich source of Proteins and Vitamins as is considered to be a healthy food. 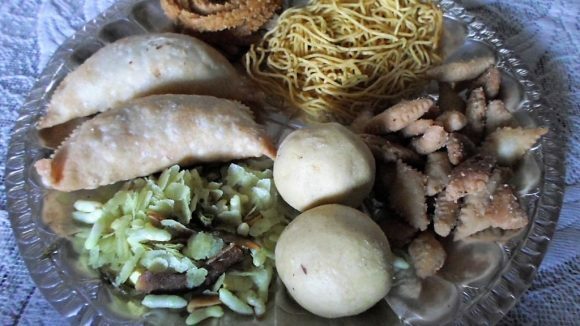 Take the Corn flour, Broth powder, Salt, Pepper and water and prepare a paste. Then add Taohoo and keep it to marinate for 15-20 minutes. Heat the Oil in a frying pan and then add the Shezwan Pepper, Ginger-Garlic paste, Red Chili paste and fry for 2 minutes on a slow flame. Then add Taohoo and fry until colour changes in to light brown. Then add Soya sauce, Sesame Oil, Spring Onion, White Pepper.